Isn’t Nantucket at it’s best right now? 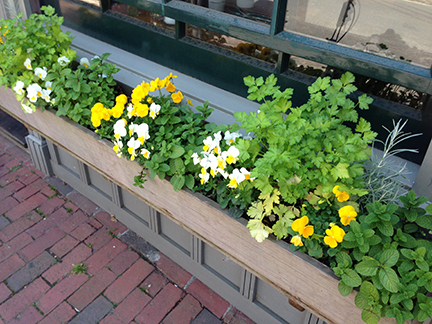 The window boxes all over town are brimming and gorgeous. There are people on the streets but it’s manageable. We still see friends and have to to stop for a chat. Yesterday I noticed a woman taking pictures of the front of my house. I have containers filled with flowers and they look pretty good for the little effort I put into them. She came right up onto my porch to shoot the flowers up close. I opened the door and said hello. She was quite chatty and complimentary. When she left I realized I was missing a photo op downtown. So, right then and there I decided it was time for my daily walk to town to do errands and snap some pictures. I was definitely not disappointed. Of course I also checked out what was happening in town. At the Stop & Shop the employees are wearing shirts with big letters across either their chests or back that read “ASK ME WHAT’S NEW!” So I did. The fellow stocking the produce was utterly taken by surprise and babbled that he didn’t speak English. He had no idea what I was talking about. I stopped a fellow with a price checker in his hand in the cereal aisle. “What’s New” I asked. He didn’t even pay attention to me. At the checkout counter I saw a name tag on a smiling employee and said in a cheerful voice, “So, Valerie, What’s New?” She laughed and looked as though I had totally inappropriately asked her something terribly personal. Giggling she said, maybe the new store out of town. I don’t know.” It seems to me if you so to the trouble of having shirts made with a slogan you should get your act together. Oh well business as usual. Then I checked out the new Bean. Wes Van Campen should be a very proud guy. What a terrific job he’s done in the old Gourmet Kitchen Shop. And it’s a good time to go because in another week you won’t get in. Next on to the Hospital Thrift Shop where I was really really tempted by lots of things. Billy Sherry was beating me out on all the dishes. Then I headed home via Petticoat Row/Centre Street which is what I originally went to town to check out. Every single store is flanked by probably the best looking window boxes you will ever see. Get out there now and take some pictures. 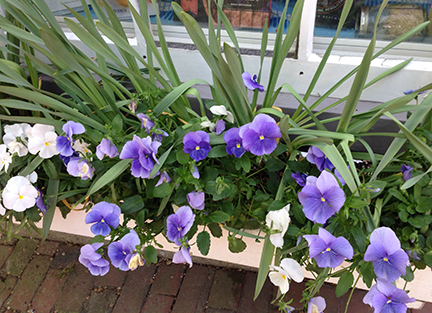 Around the corner on Main Congdon and Coleman have also done themselves proud although the Peace plants aren’t quite as attractive as the pansies and small, clustered flowers in the boxes on Center St. There is a proliferation of colors and the entire block looks as sweet and lovely as it always has. It is proof that the whole island isn’t going the way of gentrification. Sweet, charming, old-fashioned, a symbol of quaint just the way we like things here. Oh yes, there’s a new clothing/jewelry store where Sweet Inspirations used to be and lots and lots of new stores from away. But there’s still evidence of old Nantucket town to satisfy all of who are nostalgic for the way Nantucket used to be. 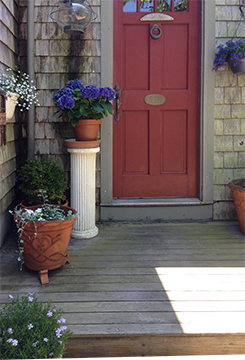 I’ve been very gratified for the interest in my new book, not only on Nantucket but across the country where people are embracing the idea of small as a way of living in their homes and maintaining gardens. 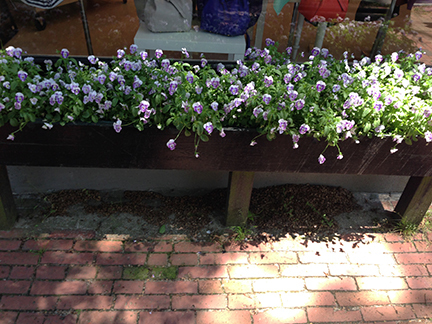 Window boxes represent the perfect in-town garden or to have a garden in a small area. 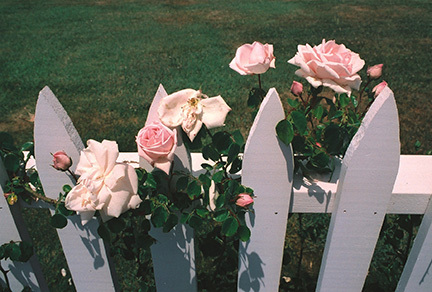 Terry Pommett’s photos of window boxes in “Nantucket Cottages & Gardens” are outstanding and will also inspire you to plant your own. I also included tips for planting your own window box and the Boston Globe excerpted the book last Sunday with garden pictures included. The front door picture here is my house with a signature basket weave wall planter designed by George Davis for his Centre St. store Weeds which we all miss. All the other photos were taken on Centre Street. Go catch them while they’re at the height of potency!